I have a confession. I may have been holding out on you, Ottawa. I found another place that serves top notch food in your fair city over the summer that I haven’t told you about. Frankly, I am not sure why I haven’t raved about it here yet! I may have held on to this secret because … well , look at these pictures! Doesn’t it seem to good to be true? Say hello to my little friend: The Potaco! 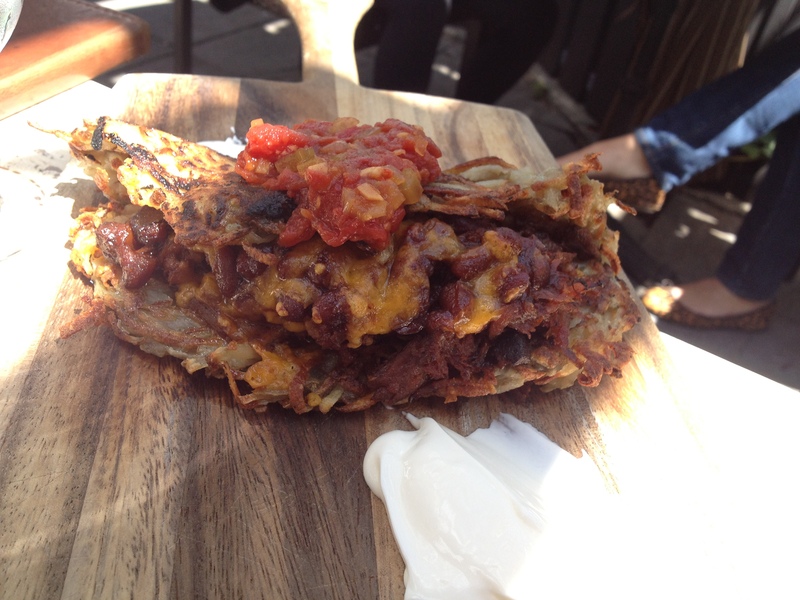 Say hello to my new friend: The Potaco – a potato taco shell (latke style) filled with generous amounts of BBQ pulled pork, in house baked beans, cheddar and sour cream. A perfect marriage between taco and latke it was crispy, flavourful and filling. The geniuses behind the beast above are from Murray Street. Right in Ottawa’s Byward Market, you’re only a hop, skip and a jump to great pedestrian shopping and even a farmer’s market. We got to sit outside on their spacious back patio and a mechanical awning if it starts to rain. Hasherole – peeking out into the sun! 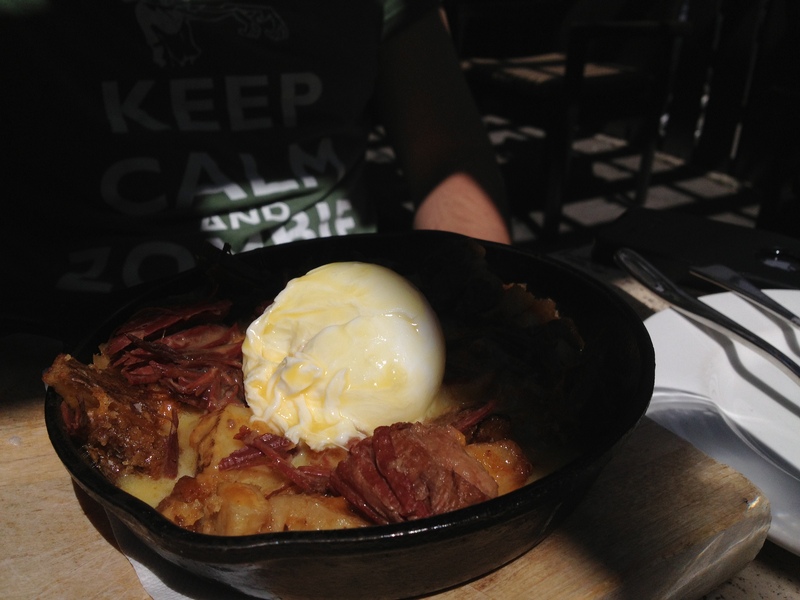 Served in a hot skillet, a poached egg tops a cheesy “casserole” of braised corned beef and potatoes. Don’t forget the bone marrow hollandaise! We loved everything single bite! especially the smoked duck breast and the Tome de haut Richelieu cheese! Overall we had a fantastic time at Murray Street. The food is exceptional and while some meals are heavy you can still taste that freshness that can only come from true farm-to-table. 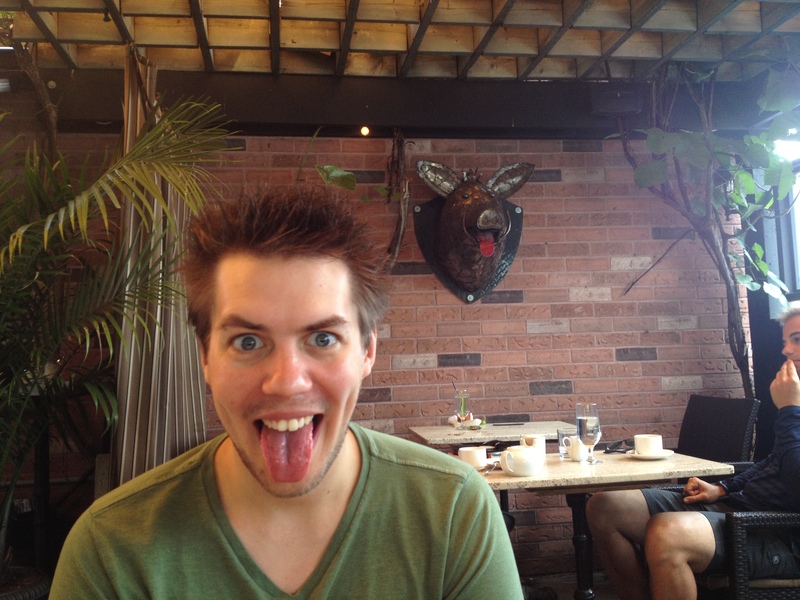 I can not wait to be back in Ottawa to eat here again. Potaco, I’ll be back for you! Previous PostNaBloPoMo Challenge! Next PostTouch the Heart – Dim Sum at Pearl Court! This actually made me drool! Looks amazing. Let’s do it! 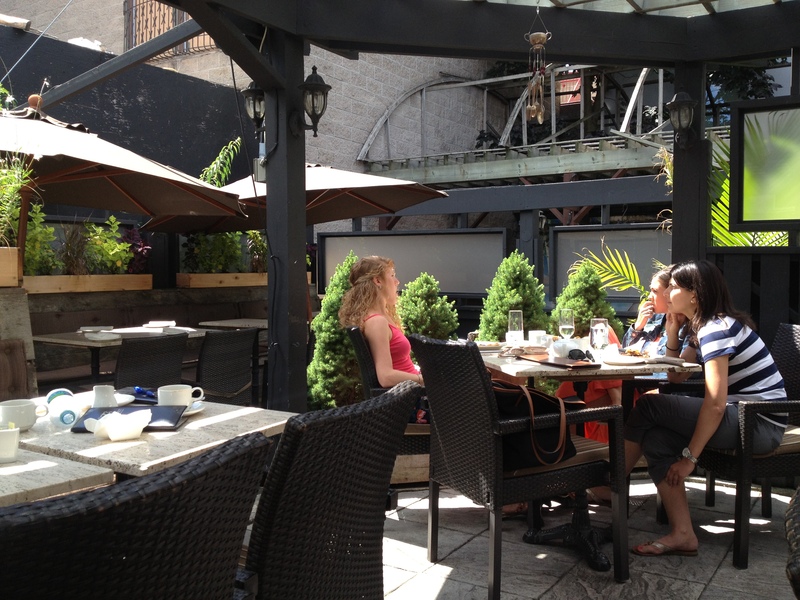 I have still never properly brunched in Ottawa. How yummy looking! 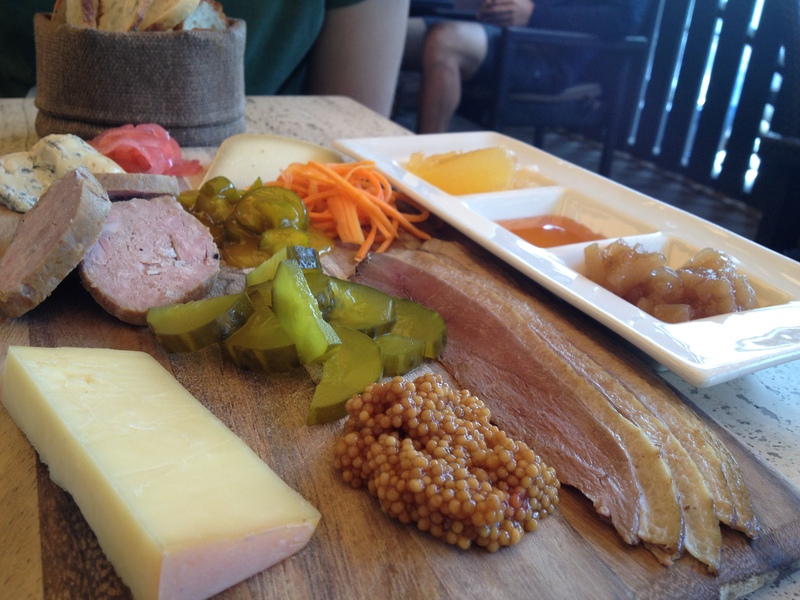 The Charcuterie and Cheese plate with the smoked duck! I am envious! It was very good! Are you from Ottawa? If so you should stop by! No, but when I am up for exploring again and towards the East Coast side, I’ll be sure to go up towards Ottawa, and explore!